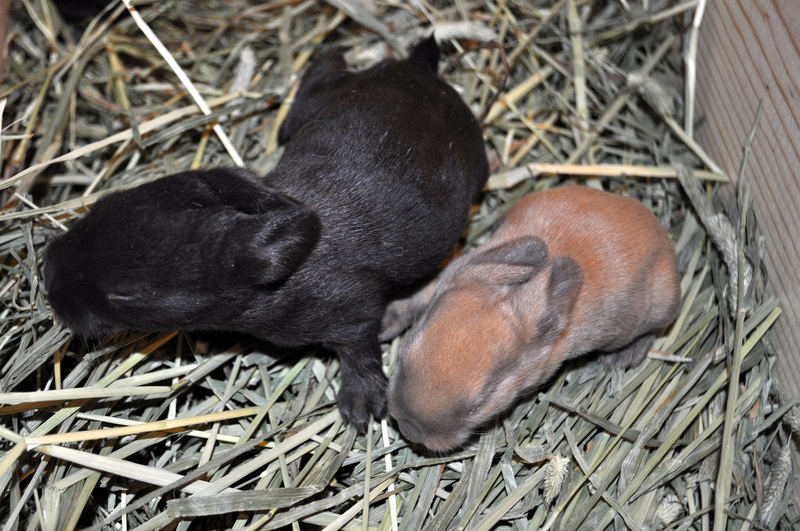 This entry was posted in Homesteading and tagged bunnies, bunny, homestead, kit, kits, nesting, rabbits by monkeyneedle. Bookmark the permalink. That last picture is really cute! I love all the colors you have in that litter. Thanks. That’s my oldest grand daughter. 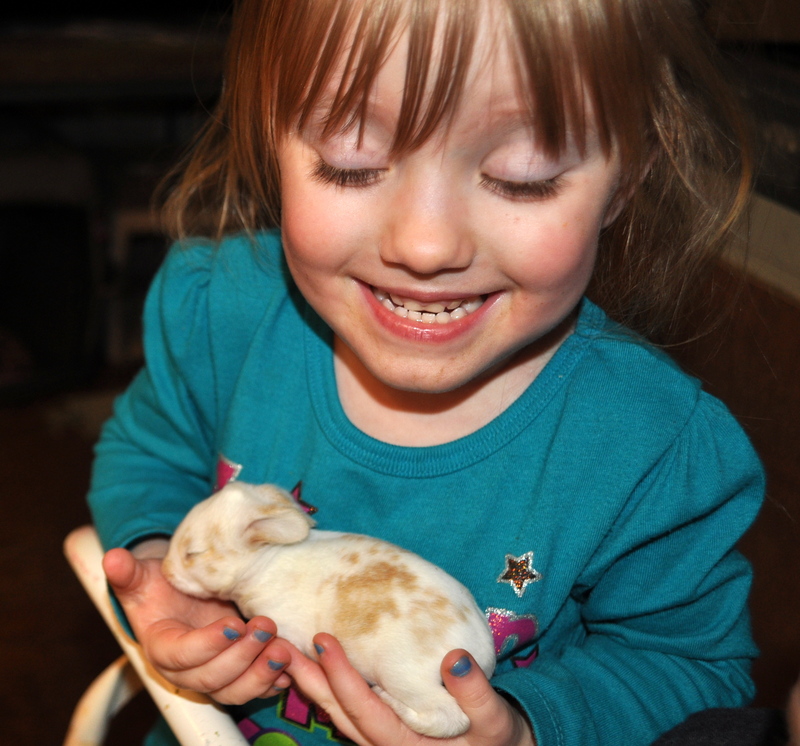 She’s a sweetheart and she wanted to hold each one. 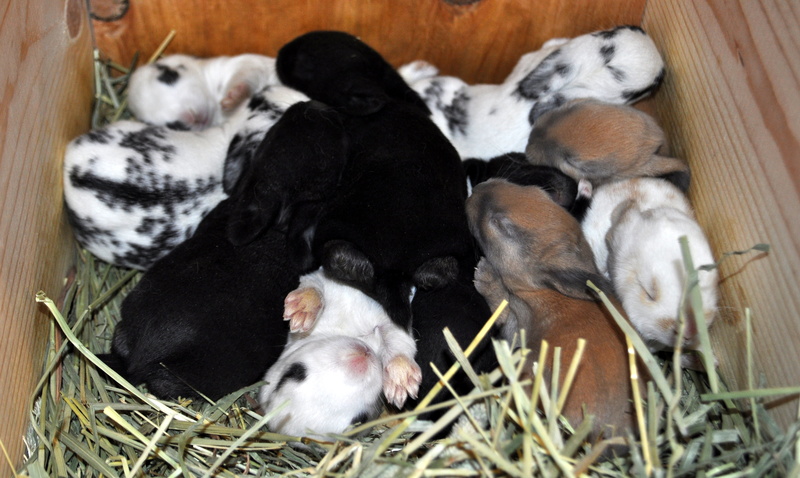 I think we have about every color in this litter except plain white.